What do the countries Afghanistan, Bhutan, Iraq, Ethiopia, Congo, Ireland, France, India, Malaysia, Jamaica, the Philippines, and Somalia have in common at DeKalb County School District? Along with enthusiastic representation—in the form of eager students and supportive teachers—each was represented at International Community School’s United Nations Day. 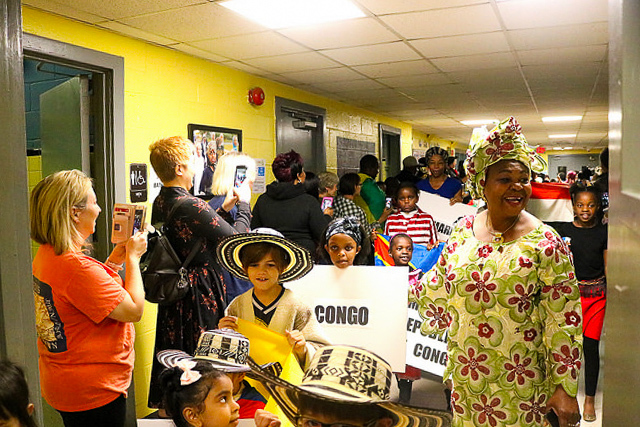 International Community School (ICS) celebrated United Nations Day as a culmination to Red Ribbon Week and Bullying Awareness in early November 2018. Other events that week included “Wear Your Craziest and Wackiest Socks” to stress that being a bully is “wack”; dressing as a super-hero to join the fight against bullying; wearing pajamas to “put bullying to bed,”; and “putting a cap” on bullying by wearing a favorite hat. Normally a parade through the North Decatur neighborhood, the 2018 United Nations Day instead included a parade through the school due to inclement weather. Students also performed internationally-themed music at ICS’s auditorium before hosting a massive, world-themed luncheon for staff and attending parents. ICS is one of DeKalb County School District’s longest-running charter schools. Since 2002, the school has provided a rigorous and holistic education in an intentionally diverse community of mutual learners. 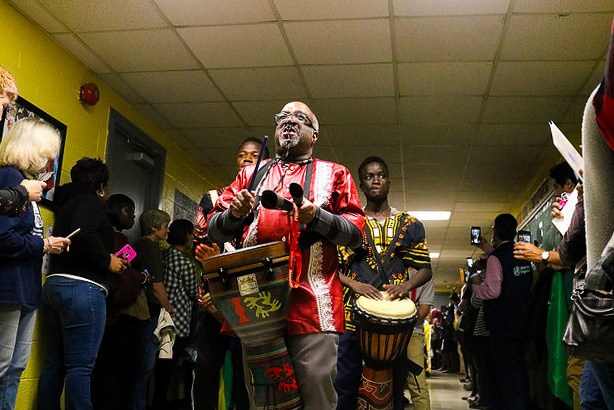 Currently, the school serves more than 400 students with an International Baccalaureate curriculum, representing 30 nationalities and more than 25 languages. ICS has been recognized by such national media as CNN, and awarded by such organizations as the actual United Nations as well as the Atlanta Track Club. For more information on International Community School, visit www.icsgeorgia.org. The school can also be found on Facebook, Twitter, Instagram, and YouTube.